On February 1, approximately 200 U.S. troops led by Captain Jesse I. Morin returned to Mora armed with two howitzers. Most of the insurgents fled to the surrounding mountains. Nevertheless, Morin ordered the complete destruction of the village of Mora and the burning of the wheat fields that surrounded the town. Niles' National Register reported as follows: "Capt. Morm [sic] of Platte who was in command, pursued them through the Moro [sic] valley, and burnt to ashes every house town, and rancho in his path. The inhabitants fled to the mountains, where they are bound to starve, as Morm [sic] leaves them nothing whatever to subsist on - a just retribution for their assassination of innocent people." 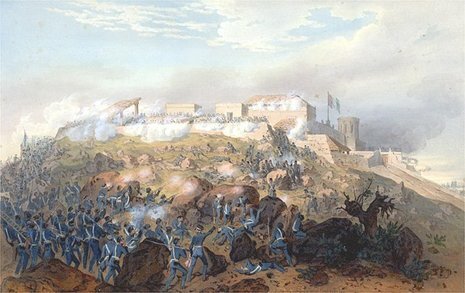 The U.S. troops then returned to Santa Fe. 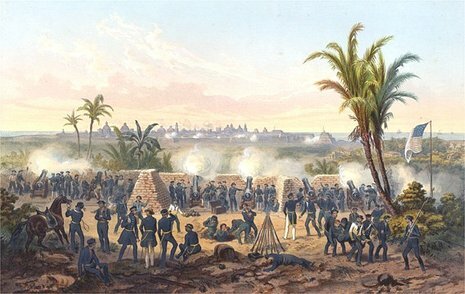 After a failed attack by American Forces led by Israel Hendley on January 24, on February 1 another expedition armed with cannon succeeded in razing the village of Mora in New Mexico.